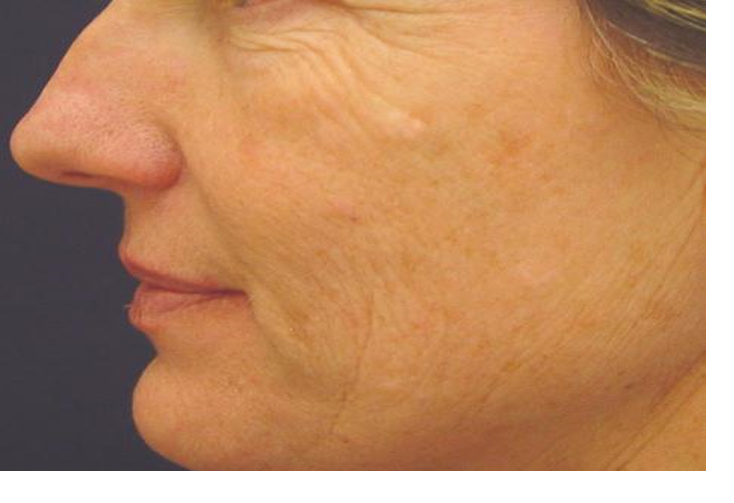 TempSure Envi uses radiofrequency to promote collagen and tighten skin*. Ideally suited to smooth fine lines and wrinkles, the treatment uses heat to spark your body's natural ability to generate new collagen. The new collagen fibers are tight, dense and neatly organized giving you tighter, younger-looking skin! 3 – 5 treatments are recommended about 4 weeks apart to boost the collagen rebuilding process. For optimal results, work with your provider to develop a treatment plan designed specifically for you. TempSure Envi has been carefully designed with comfort in mind to provide you with a comfortable and effective treatment every time! 99% of patients described the treatment as comfortable1.